Cantey T. Kelleher is a portrait sculptor and teacher who specializes in miniature figure portraits as well as half- to life-sized busts. 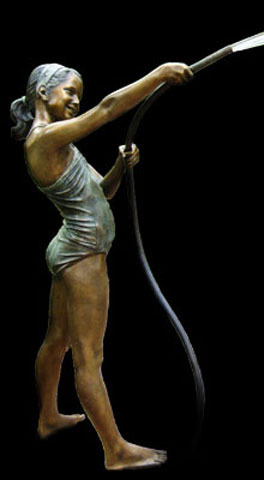 She has also created two-thirds to life-sized figure portraits as garden sculptures and fountains. Typically, her original pieces are in the old-world medium of terra cotta. These finished works of art can then be foundry-cast in bronze, a process which allows duplication of the original sculpture in a medium that will last for generations.